With the cool weather finally here in Los Angeles, I’m finally getting in the celebratory mood. 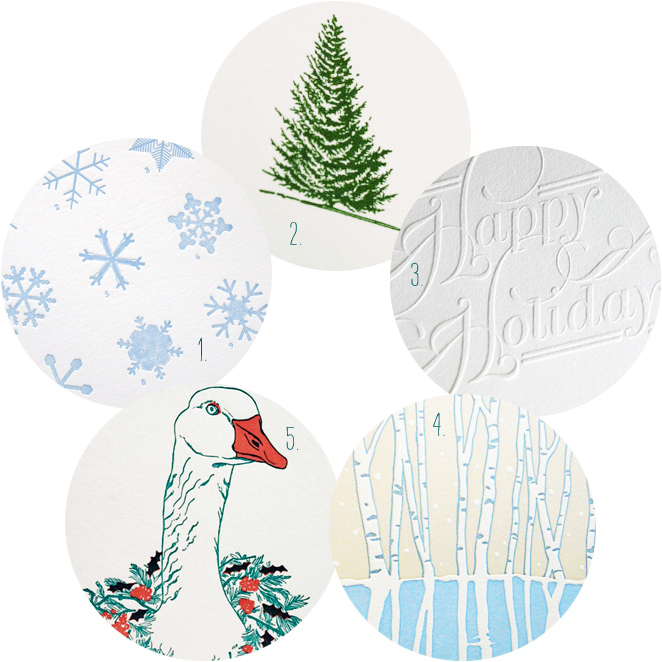 While I’m not quite ready for holiday shopping and crafting, I’ve already begun my search for holiday cards to make sure I get them in time to send to friends and family. Perhaps I learned this the hard way last year when our cards did not quite make it out in time. So forgive me if this this much too early in your holiday timeline but here are a few cards I’m liking a lot.